Super Bright: Fits 2X2" mounted slides and 35mm film strips and negatives. 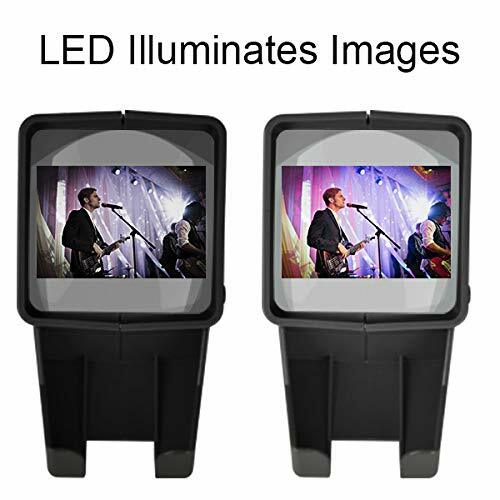 3x Magnified Glass Screen: Bright and Even Lighting, No Color Cast, Cool White LED Illumination. 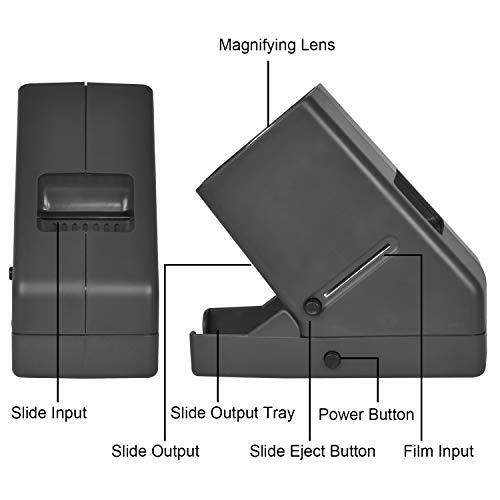 Convenient: Desk Top Portable Viewer, Have Eject Button and Slide Tray. 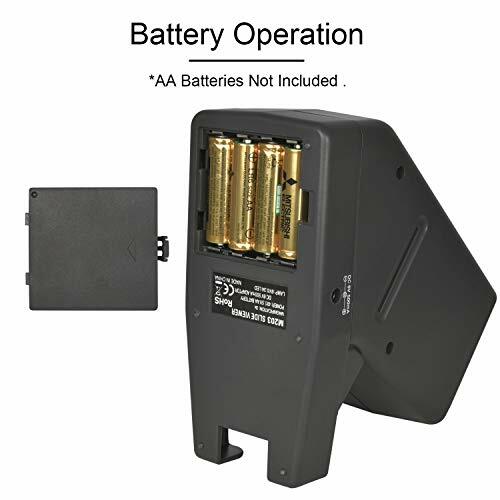 Power Supply: optional DC 6V 500mA adapter Or 4*AA Batteries (Not Included). 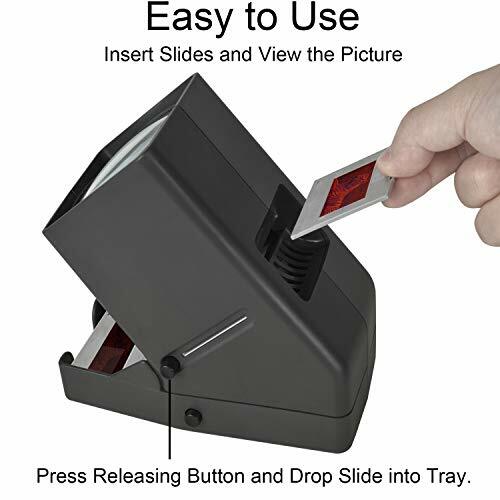 Note: the slide need to insert on the back of the viewer.If you have any questions, please contact us immediately. 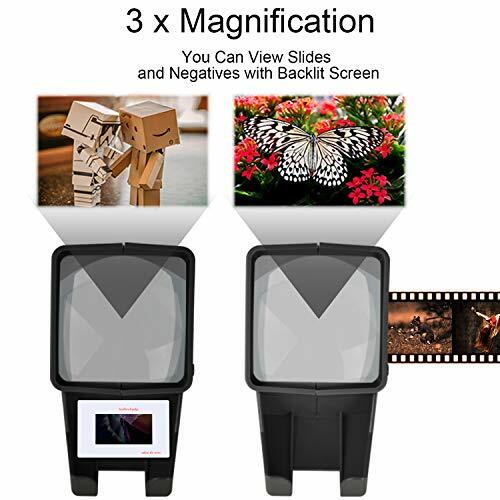 Reproduce your old memories to life-- Personal Slide Viewer Provides a Glimpse Into the Past by Enlarging and Lighting 35MM Slides & Film Negatives for All to Enjoy. 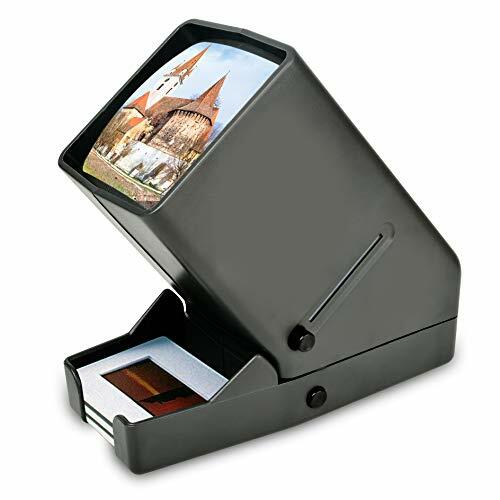 Convenient-- Desk Top Portable Viewer, Have Eject Button and Slide Tray,Use in Studio or at Home. Portable- Fits 2X2" mounted slides and 35mm film strips and negatives. If you have any questions about this product by Rybozen, contact us by completing and submitting the form below. If you are looking for a specif part number, please include it with your message.